Residents of Sonoma Valley now have a chance to weigh in on a plan to help us manage the coming rains – which bring with them the possibility of floods. Called the Storm Water Resources Plan, its intent is to manage flooding, recharge groundwater, reduce soil erosion, and improve water quality for residents of the Petaluma River and Sonoma Creek watersheds. 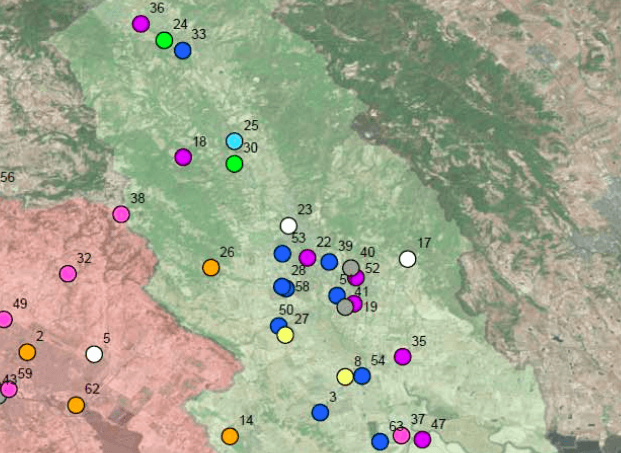 A draft of the SWRP – consisting of 60 proposed projects within the two watersheds – now awaits input from residents of southern Sonoma County. The public comment period closes September 17. The 60 proposed projects are in the conceptual phase, going no farther until the public has weighed in. That’s where you come in. Residents of southern Sonoma County, including Sonoma Valley, are asked to examine the draft Storm Water Resources Plan and share their thoughts via email or online form – in particular, saying what projects are needed in their area, based on their experience, to manage storm water. The draft Storm Water Resources Plan was developed by Sonoma County Water Agency (now called Sonoma Water), consultant ESA, and a Technical Advisory Committee of 13 agencies and nonprofit organizations – among them Sonoma Ecology Center. Managing storm water so we get its benefits – without its damage – is a key part of making our community safe and sustainable. We hope everyone in Sonoma Valley can weigh in on the Storm Water Resources Plan and help us reach this worthy goal. To leave comments directly with plan manager Susan Haydon, email susan.haydon@scwa.ca.gov.